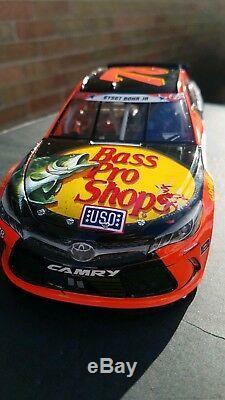 Martin Truex Jr Coca Cola 600 raced version 1/24 diecast din# 438. New in box has race card and confetti. The item "Martin Truex Jr 2016 Coca Cola 600 raced version 1/24 diecast din# 438" is in sale since Monday, January 21, 2019. This item is in the category "Toys & Hobbies\Diecast & Toy Vehicles\Cars\ Racing, NASCAR\Sport & Touring Cars". The seller is "josepbauker-0" and is located in Lyons, Illinois. This item can be shipped to United States.